Exchange one for another! 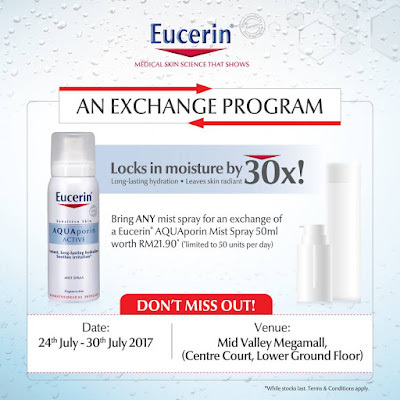 Bring any mist products for an exchange of a Eucerin® AQUAPorin Mist Spray 50ml worth RM21.90. Don’t miss this chance at Mid Valley Megamall from 24th to 30th July.